In 1973, Ada Bors, a community member of the University Symphony Orchestra, requested that Barbara Pautz, an area resident, assist in composing a proposal to present a Viennese Ball at the University of Wisconsin-Eau Claire. They submitted this idea to Chancellor Leonard Haas in early December of that year. Dr. Rupert Hohmann, conductor of the University Symphony Orchestra, had already given his approval for such a proposal. The event would feature the University Symphony Orchestra in the Southwoods Ballroom of W.R. Davies University Center, performing primarily waltzes and polkas by Johann Strauss, Jr. The ball would provide an opportunity to welcome residents of the greater Eau Claire area, and beyond, to come to the campus for a major social occasion showcasing student musicians. After considering the proposal, Chancellor Haas then invited administrative staff, along with Dr. Hohmann, to discuss the possibilities of hosting such an event. Johannes Dahle, director of University Centers, was asked to further explore the feasibility of scheduling a Viennese Ball in the spring of 1974. Dominic Spera, director of Jazz Ensemble I, agreed to alternate with the University Symphony Orchestra by performing dance music from the Big Band Era. A volunteer committee composed of area residents, UW-Eau Claire faculty/staff and students was organized. The ticket prices were $3 for adults and $2 for students. An attendance goal of 600 was set. Any monies remaining after the production expenses were met would be directed to music scholarships. In 1973 no alcoholic beverages were served on University of Wisconsin campuses. The Faculty Senate received a request from the Viennese Ball Committee that a new policy be established so that Austrian wines and beers could be available for purchase at the new event. After much discussion, the Faculty Senate under the leadership of Dr. Wilmer Pautz agreed to that change. The Board of Regents granted its approval soon thereafter. Tortes and cakes donated by community and faculty/staff members were available for purchase. Viennese coffee accompanied these desserts. And so it came together. From 8:30 p.m. to midnight on Friday, April 26, 1974, the University of Wisconsin-Eau Claire presented its first Viennese Ball with 668 in attendance. It was more than sold out. To the surprise of many, the proceeds reached a sum of $1,500. As planned, these monies were directed to Viennese Ball Music Scholarships. The Viennese Ball has greatly exceeded its origins, hosting more than 3,000 patrons on a two-night schedule. Ticket sales have generated more than $1.5 million for scholarships and awards. Austrian officials documented that UW-Eau Claire presents the largest Viennese Ball in the world outside of Vienna. This success of the Viennese Ball is largely attributable to the scores of people, many of them volunteers, who have dedicated themselves to this project. Above all, its success is due to those first committee members who persevered and gave rise to a new venture. It is they who laid the foundation for the Annual Viennese Ball at the University of Wisconsin-Eau Claire. and creator, who died March 6, 2014. She coordinated the Viennese Ball through its silver anniversary in 1999. 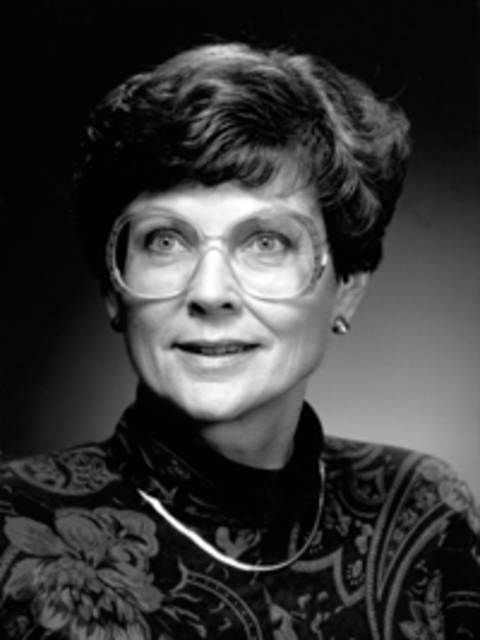 Ada began her university studies in 1954 at Ohio University, where her major was piano performance. She and Adam Bors were married in 1958, and in 1960 Ada earned her Master of Fine Arts degree. The Bors family moved to Eau Claire in 1967, and the following year Ada was invited to become a community member of the University Symphony Orchestra. In 1970, the Bors family moved to Boennigheim, Germany, where Adam joined the faculty of Schiller College. During that year abroad, Ada visited Berlin, Prague, Munich and Vienna and attended many operas and ballet performances at the Stuttgart Theatre. “I believe the Viennese Ball idea started stirring in me while we were in Europe,” Ada said. After much persuasion and with the help of a dedicated committee of volunteers, the first Viennese Ball was presented in 1974. That year Ada joined the University Centers staff, coordinating special events campuswide and directing a Viennese Ball that grew in attendance and stature each year. In 1982 Ada was awarded the Johann Strauss Medalfrom the Vienna Tourist Board, presented to her by the Secretary General of Austria. In 1987 the office of the mayor of Vienna presented her an award in the city hall in Vienna. She led the Viennese Ball Committee’s successful campaign to obtain a Bösendorfer Imperial Grand Piano, hand-crafted in Vienna, for the university. The Bösendorfer Imperial bearing the opus number 39688 was purchased in 1988 and made its debut at the 15th Annual Viennese Ball. In 1995, Ada was awarded a Decoration of Honor in Gold for Services to the Republic of Austria for bringing Austrian tradition and culture to the United States through the Viennese Ball. Ada retired from the University Centers staff in 1999, but she continued to support the Viennese Ball and the university until her death.